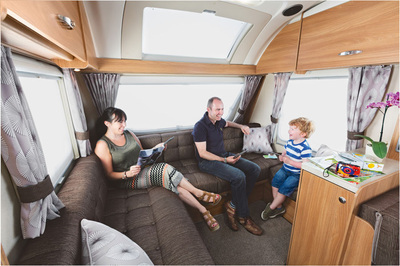 The Swift Quattro EW is the ultimate couples or family caravan and would be an ideal vehicle for travelling around the country. It features a fixed double at the rear which can be made into a bedroom thanks to the use of a room divider. 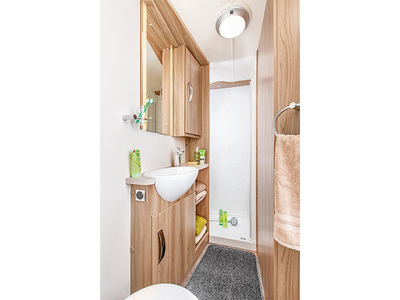 It is complemented with an en-suite bathroom unit, which features a square shower cubicle, washbasin and toilet. 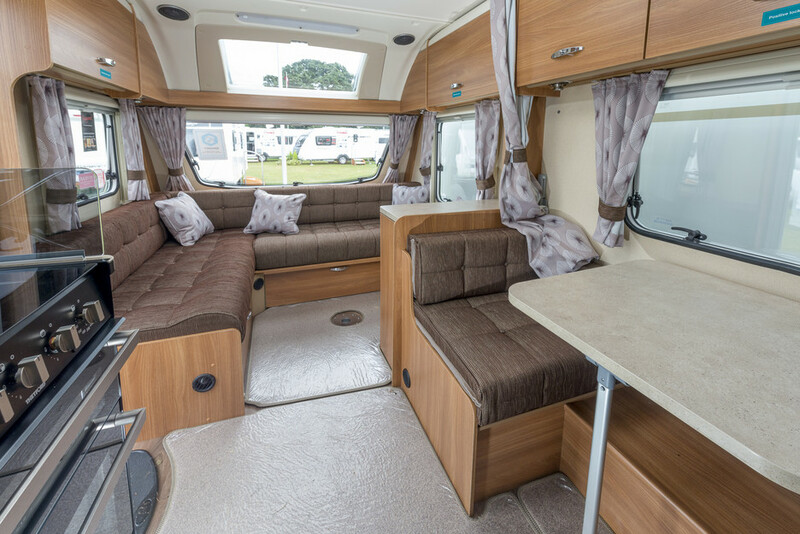 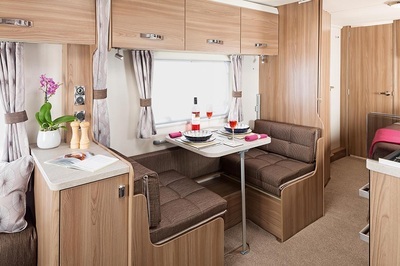 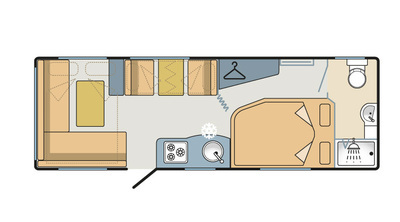 In the main part of the Sprite Quattro EW there is ample living space with a corner seating complete with table for families to enjoy meals during the day. 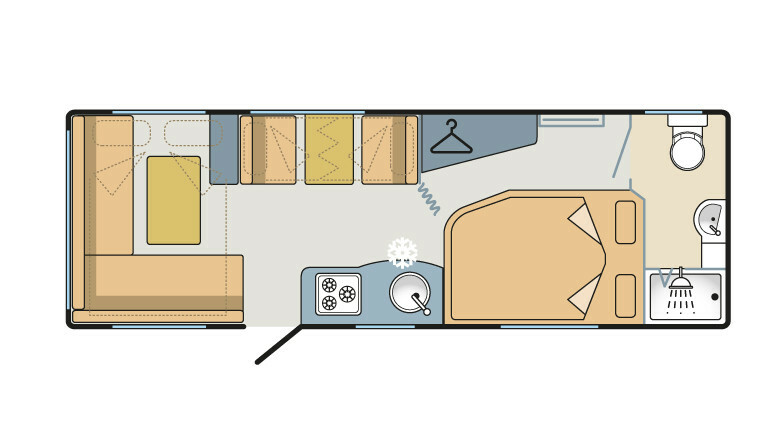 At night this can be converted into two single beds, while a secondary seating area can also be converted into two more bunk beds. The kitchen is kitted out with everything a caravanner could need on holiday including a sink, a coverable four-burner hob, an overhead microwave, fridge and two-shelf oven. 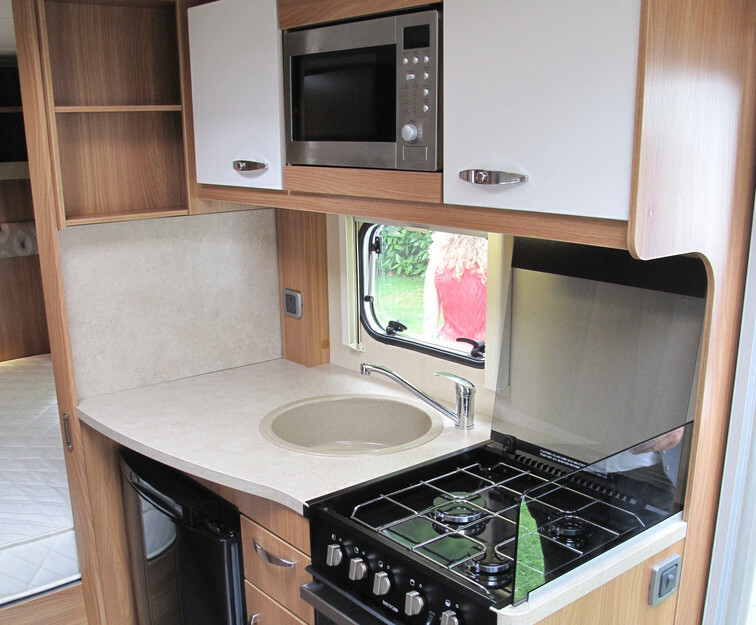 There is also plenty of preparation space on the worktop for cooking up meals. Comfort: Suitable for a family of up to 6 people. Toilet & shower are loacted in a full ensuite at the rear of the van. 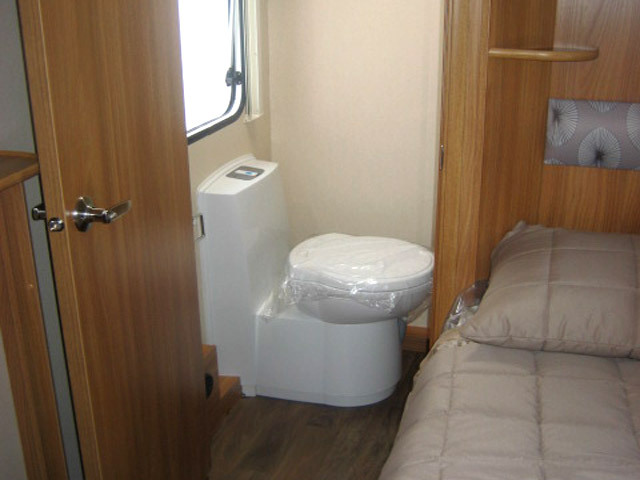 Flushed toilet waste goes into cassette waste tank that is accessible from exterior compartment. 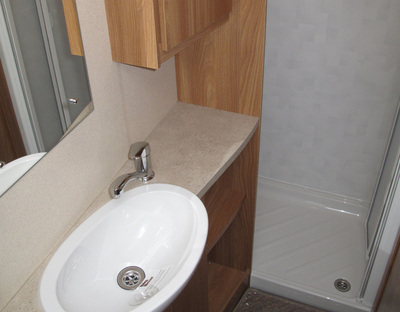 Cassette waste tank must be empty and rinsed out prior to drop-off. 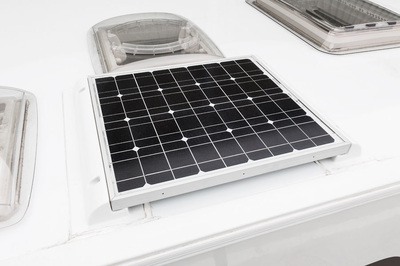 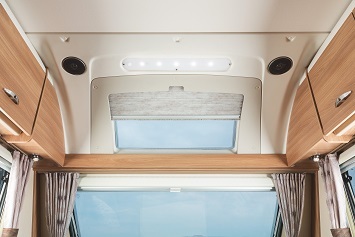 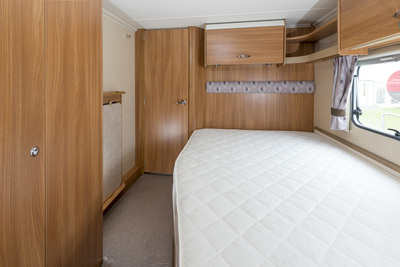 Grade 3 is the top tier of caravan insulation and heating ratings. 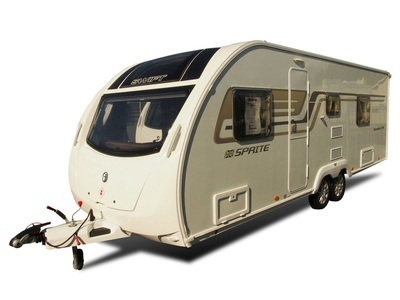 When the temperature outside is -15, a grade 3 caravan can maintain 20 degrees inside. 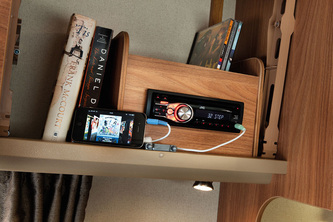 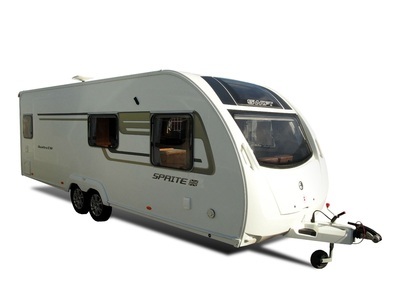 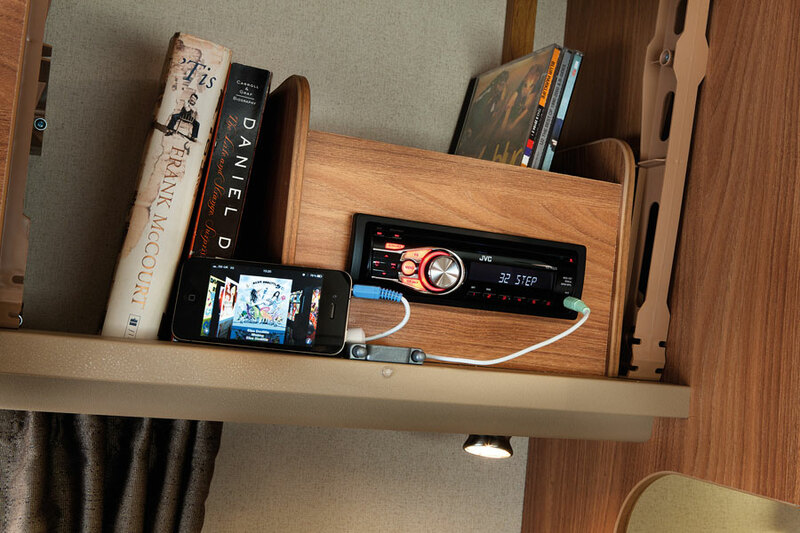 Swift caravans are therefore suitable for year round use no matter where travelers want to go.